Why are 90% Canadian Investors Overpaying Tax for their Real Estate Investments in US? If you are a Canadian citizen or resident and own real estate in the US, you are subject to U.S. income tax on any rental income and capital gain you received from your U.S. real estate property. Unlike Canadian tax rules, depreciation is a mandatory deduction in the US. Even if you don’t file a return or you filed your tax return without depreciation, you’re still deemed to have claimed depreciation and could be subject to recapture. Failure to file a tax return also reduces your ability to carry forward passive activity losses since the IRS has no record of them. As a result, on a subsequent sale of the property, you would have a taxable income inclusion in the form of recapture with no offsetting loss carry-forward. By ignoring generous IRS guidelines when establishing depreciation schedules, over 90% of Canadian real estate investors are unintentionally overpaying federal income taxes for their US real estate. In addition, they are paying federal income taxes earlier than necessary, typically years or decades earlier than necessary. 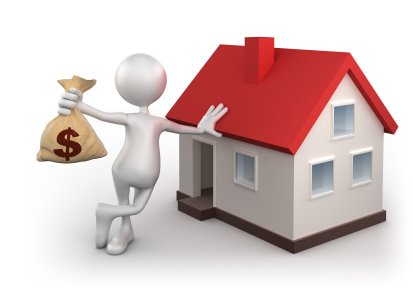 Converting ordinary income into capital gains income for your US real estate investments. Deferring income until a gain on the sale of the property is realized for your US real estate investments. If you own property in the US, the conversion of ordinary income into capital gains income has to do with the technical nature of the allocation of the gain on the sale. Many, if not most, accountants initially believe it is simply a timing issue. However, when the mechanics of recognizing gain on sale are discussed, accountants quickly realize increasing depreciation leads to paying taxes at the capital gains rate as opposed to the ordinary income rate. Cost segregation clearly makes sense for large properties, and in many cases it makes sense for smaller properties. While accountants are becoming more and more active in reviewing options for depreciating real estate, the owner needs to take the lead role in proposing cost segregation as a mechanism to reduce and defer federal taxes. While many parts of the federal tax return may be too complicated for an investor to understand and prepare, the simple way to think of it is if you pay federal taxes and can use additional depreciation, you benefit from obtaining cost segregation studies. Most investors are not aware of cost segregation and do not understand the benefits it provides. Proportion of short life property that can be segregated. The proportion of short life property in the typical real estate property typically ranges from 20% to 50% of the cost basis of the improvements. Items which typically effect whether it is at the low end of the range or the high end of the range include the age, condition, intensity of landscaping, amount of surface parking, and land value. If you have real estate investment in US, you can “catch-up” under reported depreciation by having us file a form 3115 with your current tax return. What is known in cost segregation jargon as “catch-up” is the reporting of depreciation that has been under reported in prior years for your real estate investments in US. Do you pay US federal income taxes? Do you own real estate in US? Can you use additional depreciation? If you can use additional depreciation, call us to discuss a cost segregation study and preliminary analysis. Once you obtain the preliminary analysis, you should consult with us to complete your corrected tax return. In many cases, it makes sense for us to meet and discuss the option and issues.